No, rest assured - I am not ill. I just liked the letter combination of Symptomatic! 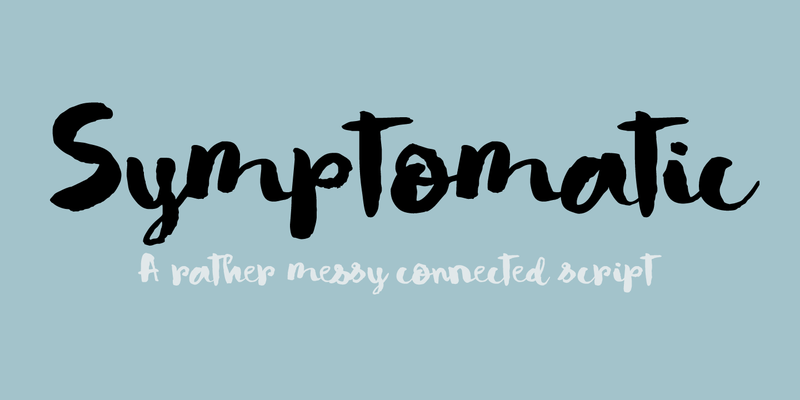 Symptomatic is a messy connected brush script. Use if for your book titles, posters and product packaging. Comes with double letter ligatures and a whole lotta diacritics.